A reverse mortgage is a loan that is secured against the value of your home. It is intended exclusively for homeowners who are 55 years and older. It enables them to convert up to 55% of their home’s value into tax-free cash. You can use the funds from a reverse mortgage for anything you desire; to cover monthly expenses, pay off debt, renovate your home, or travel – the choice is yours! You maintain ownership of your home, and you are not required to make monthly mortgage payments with a reverse mortgage. Repayment of the loan is only needed if you chose to sell. The amount you eventually repay will never exceed the fair market value of your home. And, if your house increases in value, the appreciation is yours. You are merely required to maintain your property and pay the taxes and insurance on it. Since you have full reign over how you choose to use the money from a reverse mortgage, you should consider some dos and don’ts. Ensure home insurance and property tax payments are routinely paid. Retain a part of the loan for unexpected emergencies. Maintain the house in good condition. If necessary, use funds from the reverse mortgage for routine maintenance work. Any financial obligations tied to the home must be paid with your loan. Speak with family members, friends, or a trusted financial advisor about your plans to acquire a reverse mortgage. They can help you feel more confident about your choice, and they may be willing to help you through the process. A reverse mortgage is an excellent option for most Canadian seniors that want to increase their retirement income, but there are some situations it should not be utilized. If you are planning to sell your home. You are looking for a short term solution (less than two years). Avoid taking out excessive equity from your home so that you preserve as much of the capital remaining in the house as possible. Living comfortably during your retirement years is something many Canadians have worked towards throughout their career. Despite careful planning and saving as much as possible, Canadians often find themselves having to budget frugally in retirement due to the rapidly-rising cost of living. The dreams of a relaxed, worry-free lifestyle of travelling and other plans may no longer seem possible. Capitalizing on a reverse mortgage can change that. In some cases, the best choice is to receive a lump sum amount for specific purposes and stretch the remainder over a more extended period of time in future payments. The flexibility of a reverse mortgage makes it an ideal option for many Canadian seniors. 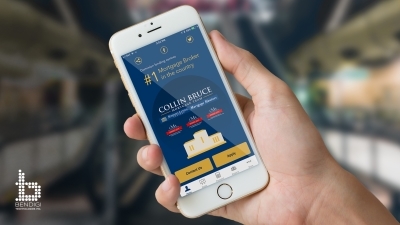 To see if this financial product is right for you, contact Collin Bruce Mortgage Team. Our experienced mortgage brokers can help you through the process so you can be on your way to worry-free retirement living. Call us today to book an appointment.